As tempting as that might be, don’t do that yet. It’s way too early in the process to ask any questions in an online community—the time for that will come. First, you need a list. 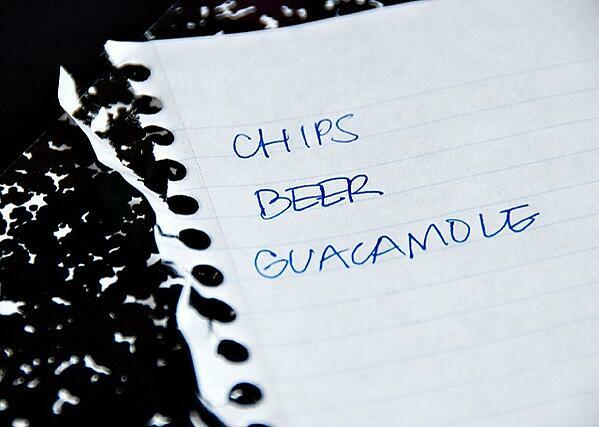 Grocery shopping 101 says to always take a list with you to the store, especially if you’re hungry. With a list, you’re less likely to buy something you won’t use and you won’t forget to buy something you need. It’s the same with technology shopping—start with a list of system requirements. 1. Enlist colleagues from other departments to help identify requirements. If you live alone and cook only for yourself, you don’t need anyone’s help with your grocery list. But it’s different with an AMS. Many of your colleagues use the system, use data from the system, or use technology that interacts with the system. Representatives from these departments need to be part of the team that develops a list of system requirements. For example, the finance department may not use the AMS, but transactions like dues payments are processed in the AMS and flow through to their financial management system (FMS). Their expertise on these financial transactions, policies related to financial transactions, and processes shared by the AMS and the FMS will help you (and prospective vendors) understand exactly what the new AMS has to do. Someone from the IT department should also be part of your AMS project team. Besides contributing their technical expertise throughout the project, they can also help you develop requirements related to security, integration or communication with other systems, and other technical issues unfamiliar to you. Other departments have their own perspectives to contribute to the team. 2. Review existing systems and processes. But before you gather that cross-departmental team to work on system requirements, do some research yourself to identify who should participate in these meetings. Talk to staff across the association to learn as much as you can about other systems they use and the processes they rely upon the AMS to do. Besides the FMS, what other systems interact with your existing AMS? Which systems would you (or your colleagues) like to see interact with the new AMS? What processes are working well? What workarounds are in place and why? In many associations, the AMS is the hub of business processes. Your system requirements must reflect what these processes need to do, not necessarily how they get done. A new system may not allow you to do a process the same exact way, but it may allow you to still get the results you desire. 3. Uncover existing AMS needs. Your colleagues may have different ideas than you do about the strengths and weaknesses of your current AMS. Don’t assume you know what they need the AMS to do or wish it would do. As the team puts together a list of requirements, dig deeper into their existing needs. User experience: Is the system easy to use? Integration: How well do current systems share information? Data: Is the data in the current system accurate? Reporting: Are the reports from the current system insightful, allowing for trends to be spotted and actions to be taken? Maintenance: Is the system easy to maintain? Is it easy to upgrade? 4. Speculate about future AMS needs. You don’t want to outgrow your technology investment in just a few years. Your AMS must be flexible enough to adapt to your association’s evolving needs. As you develop your requirements, take time to think about the role your AMS might play in the future. What areas of the organization are growing and how? Will other systems be upgraded or replaced in the near future? Plan to continue investing in your new AMS long after its implementation. Budget for additional staff training as well as expenses related to future integrations and other upgrades. 5. Distinguish between must-have and nice-to-have AMS features and functionalities. It’s easy to fill up your shopping cart with everything your heart (or tummy) desires, but it’s not reasonable. You only have so much money to spend. And, you don’t want to end up with a bloated system. During requirements meetings, many of your colleagues will insist that they need a specific feature or functionality in the AMS. Come to think of it, you may believe you need a specific feature or functionality. Some of these needs may not be possible with the baseline system and would require customization. Let that be a red flag. Before you go down the customization road, understand the implications of customization. Is this feature essential to carry on business? Does this feature save time and effort to a great enough extent? Will this feature allow future efficiencies to be realized? Only after your team has developed a list of “must-have” requirements, should you start asking for advice in an online association community, like ASAE’s Collaborate or Association Forum’s MyForum, about products that might fit your association’s needs. You’re now in a better position to browse AMS reviews on ReviewMyAMS or attend vendor demos at AMS Fest. Should you ask others for a copy of their Request for Information (RFI) or Request for Proposals (RFP)? Only if you wish to borrow their format so you don’t have to start from scratch, but don’t bother with their content. Assume their needs have nothing to do with yours. When you venture out with a list that represents what everyone really needs—whether for groceries or technology—you’ll have an easier, more efficient, and more successful shopping experience. To dig deeper into requirements gathering and analysis—and to maintain your sanity throughout the process—download our free whitepaper. A senior consultant in technology management, Ann is also certified to sprint—as a PMI Agile Certified Practitioner, that is.